Once you’ve “iterated your innovation” enough to sharpen it to go to market, you might feel relieved. But there are still several traps to address if you’re willing to “cross the chasm”. Customer expectations need to be fulfilled but what customers imagine as an innovation might end as an incremental optimized release of a current product; This is not what you’re looking for. To achieve real breakthrough, you have to tackle “erstwhile imaginary”, desire, and design your innovation as a cultural object: Stéphane Hugon explains how Internet has grown so fast and taken such an important place in our life, by the fact that it echoes in-depth imaginaries, present in our real life, and coming from far away. 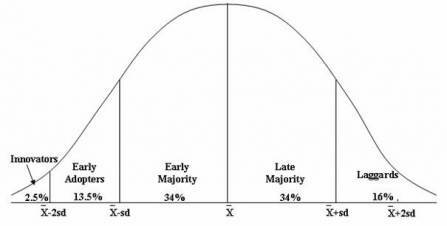 Following instantaneous sales towards early adopters, you might encounter a flop and not cross the gap between early adopters and mass market: “what works for early adopters does not work for the mainstream and the other way around”. While Techies like feature abundance, mainstream users value simplicity: they hate it, when technology takes control! Moore’s paradigm has gone all the more difficult that early adopters might not have the time to become evangelist for your innovation, and convince mainstream users to use it: in times where new technologies flow continuously, “your early adopters might run off to play with a new great thing before you have a chance to take your technology mainstream”. Your window of opportunity has become dramatically narrow, and you have to carefully work on the value that the product creates: if early adopters perceive an immediate lasting value, one can hope that they will be less tempted by the next new technology. Innovation projects have a tendency to handle technical risk, targeting zero default operating, looking for perfection adding continuously new advanced features; this way, they underestimate marketing and financial risks. But the market does not stand still during the time of your development: you have to keep a close watch on competition. Moreover, it’s rare for a product to become a “de facto standard” because of its single technical capabilities: it’s the understanding of a wider ecosystem which proves to be key. Consumers buy-in to a product is not limited to its function: they buy a product or service because of its price, its accessibility (ease of buy, notoriety), its ease of use (user friendliness), the status it provides (branding), the effect it produces (effectiveness, emotional feeling). All these parameters have to be captured in the design: viable, feasible, and desirable. In marketing management, this approach is called the “big homogeneous market myth”! This is the mistake Diesel made by challenging head-on and globally the steam engine. Actually, your innovation might well benefit from niches conquest as initial steps: having customers in various segments, with different applications of your know-how, bring good sales, enhanced feedback, and keep good spirit! It’s about marketing investment, and not marketing costs: it’s an investment in the way that marketing helps you build a brand (which might prove more sustainable than your technological advance); by turning your innovation design into a story, it initiates a relationship with your customers which will feed your innovation in return, if you demonstrate your ability to listen and iterate. Don’t forget that when innovating in a disruptive way, you are like a new entrant. Marketing investment can be from 60% to 100% of development costs for a new product seeking for market creation, and up to 70% of leader’s revenues, when looking for substitution. Considering the previous traps, what might be an effective approach to market successfully your innovation? Before we focus on a specific customer target, we need to determine which is the right target: it’s something you don’t know for sure at the launch of an innovative product. Therefore a wise advice is to start by abounding towards a selected range of various targets, assess market reactiveness, and then focus on the customer pools adopting the product with thrust, allowing a rapid growth of your market share. Customer segments can be determined by a classical partitioning using technical criteria (problems solved by the innovation) and behaviours (innovators, early adopters, …), and feedback can be rapidly captured through one to one interview on customers samples. 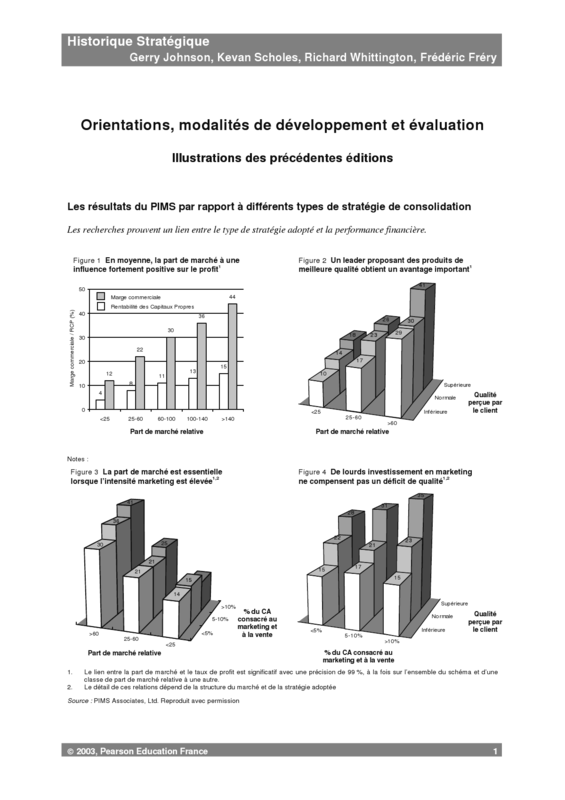 The higher is the perceived quality of your product, the higher will be your market share (PIMS): “quality improvement is the single most important source of gains in market share, which in turn favorably affect prices and various costs and, ultimately profitability”. To monitor the quality perceived by customers, you need to work closely with them: it requires proximity to get feedback, iterate, update and develop new functionality. First customers are really key in this move, also non customers who did not adopt the product: understand the reason why they did not commit can help you correct quickly your marketing launch, repositioning your offering with regards to the market. Nicolas Bry is a Senior VP at Orange. He developed a strong experience in innovation management, creating digital business units with international challenge, and completed a professional thesis on rapid innovation at HEC Business School. Hi Nicolas – I work for a Houston marketing firm and am always interested to hear from other professionals. I really like your point about seeing marketing as an investment rather than a cost. Marketing insures that you have a brand, not just a product – and with a brand, it is important to communicate a clear and unified message to consumers, which is what good marketing does. Thks for your feedback, lets’ make good investment in this time of scarce resources. Before we focus on a specific customer target, we need to determine which is the right target: it’s something you don’t know for sure at the launch of an innovative product. — This is true but a strategy often lost among a lot of business owners today. So they often complain about how their marketing strategies don’t work. They got it all wrong at the beginning.